After being honored for making the Best Burger in Palm Springs by whoever's in charge of Palm Springs Life (God? 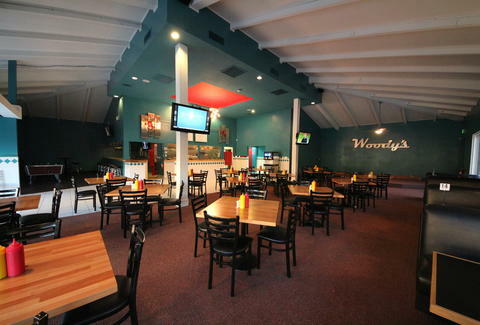 ), the two bros behind Miramar's new Woody's Burgers have stepped out from under the watchful gaze of their business partner/father to rage their faces off with San Diego coeds! Or just make more burgers, sling craft beer, and occupy your mind with a lineup of nightly entertainment.